Like me, I’m sure many of you grew up with the stories of three great bears – Rupert, Paddington and Winnie-the-Pooh. AA Milne himself could not have predicted the popularity and enduring love of Winnie- the-Pooh when he created him, based on a Harrods bear his son, Christopher Robin was given on his first birthday. In 1926, Milne published his first collection of stories about Christopher Robin, Winnie-the-Pooh and his friends, who he based on other nursery toys. The stories were brought to life by EH Shepherd’s illustrations. Milne and Shepherd had worked together previously on the magazine, Punch but their collaboration on Winnie-the-Pooh produced some of the nations best-loved children’s books and is what they are most famous for. Milne who was a Londoner, bought Cotchford Farm on the edge of the Ashdown Forest in Sussex, as a holiday home in 1925 and the area provided the perfect backdrop for the stories, referred to as The Hundred Acre Wood. Winnie-the-Pooh was always one of my favourite characters and I was often taken to Pooh Corner, a shop in Hartfield, Sussex, mainly of course as it was en route to my fathers favourite place, the Bluebell Railway. This shop, opened in 1978 and is dedicated to all things Pooh. A short distance from the shop, you can indulge in a game of the famous Pooh sticks yourself at the bridge where Christopher Robin and his father played the simple game. The bridge was built in 1907 and then partly rebuilt in 1979 and later completely restored thanks in part to funding by Disney, who had of course by then acquired the rights to the characters and dropped the hyphens in Pooh’s name. If you are feeling energetic, why not also visit the Enchanted Place, where there is a plaque is dedicated to Milne and Shepherd. After all that walking, as Pooh would say, it is time for a little something. Head back to Pooh Corner for a traditional English cream tea. Last year, the film Goodbye Christopher Robin was released, once again bringing Winnie the Pooh to the fore of popular culture. If the film is to be believed, it is rather ironic that the characters and stories that made so many people’s childhood’s happy, had the opposite effect on Milne’s own son, Christopher Robin. He took none of his father’s royalties. The V&A museum is currently running an exhibition, Winnie-the-Pooh – exploring a classic, until 8 April. I visited the exhibition with my friend. It is cleverly designed to appeal to young and old, just like the characters themselves. The collection includes original drawings and some of the families photos, along with a trail for children to follow with lift up flaps to discover things, a slide and a table with pencils for them to unleash their own creativity. One of the main things I learnt was where the name Winnie-the-Pooh came from. Winnie was the name given to a bear at London Zoo whom Christopher Robin visited, while Pooh was the name he had given to a swan he fed. At a time when war was a recent memory for many, Winnie the Pooh transported readers into a magical world where the only threat was time. 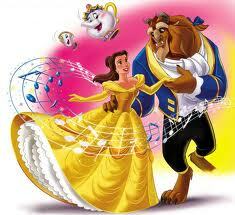 The characters transcend time however, remaining as popular with adults as they are with children. The stories have been translated into many languages and Pooh, for a bear with very little brain, provides some great philosophical quotes. The exhibition includes a large array of merchandise, including a dress from a collaboration with Cath Kidston in 2016 and a tea set given to, the now Queen, in 1928. The most recent collaboration is with Pandora, as part of their Disney charm collection and my husband kindly bought me one for Valentines Day this year. The long exciting build up to Christmas ultimately culminates in a few days which fly past at the speed of light and generally fail to meet expectations. We all put pressure on ourselves to achieve the ideal Christmas and I wonder whether this utopia is actually possible in reality? I for one have spent more than a couple of Christmas’ ill; then there have been the inevitable family disagreements, not to mention tears over inconsequential incidents. We all eat and drink too much, have this imagined pressure to enjoy ourselves and added to this explosive mix an extra ordinary amount of time spent in close proximity to all our family. No wonder January is the busiest time for people filing for divorce! Christmas eve, I gave myself an impossibly long list of jobs; however I did mostly enjoy these final preparations. I made paper chains and some paper snowflakes; which took me right back to childhood. Mum and I used to make these together and then Mum would pin the chains up in the hall with balloons in each corner. One year she accidently put a drawing pin through a balloon and made us all jump! I embroidered initials on stockings for my niece and nephew on my partner’s side. I don’t think sewing is one of my strong points, especially when time is not on my side! 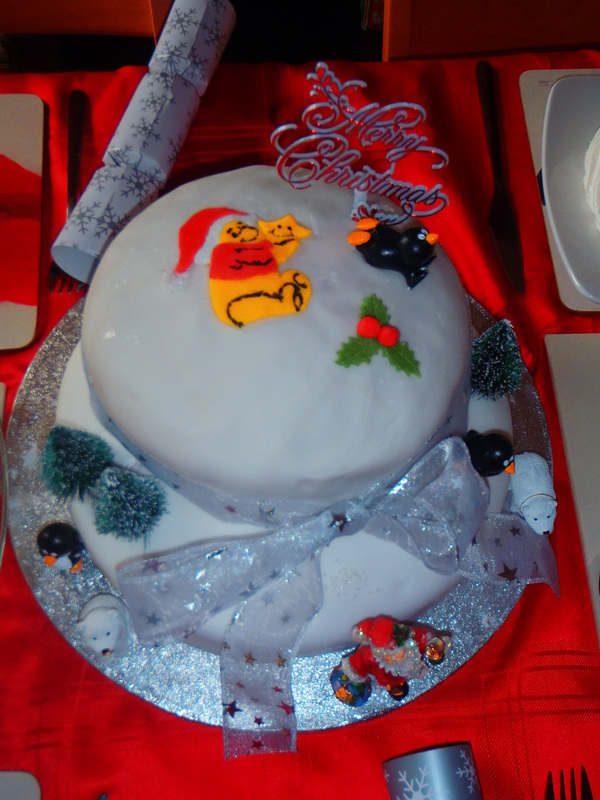 I then decorated my two tiers Christmas cake before finally relaxing with my other half over a well earned bottle of fizz. Christmas day was spent at my parents which was relaxing and enjoyable. I was lucky in the respect that Santa brought me all I asked for. My brother came over with his partner and my baby niece. It was lovely to see her little face with all the presents. I am teaching her labels young, letting her hold the small Chanel paper carrier bag which my perfume came in! Boxing Day was rather less relaxing. My partner and I had all his family over for the day. First thing I was making sausage rolls and mince pies and once people began to arrive, I found myself icing a chocolate log with an audience! Neither of us had anticipated the work involved. We played the Mr and Mrs game which was great fun although I was rather embarrassed when as game host I had to ask my future in-laws how many times they had had a bath or shower together since they had been married!! The day went off fairly well with only a few upsets but I was sure glad to have my peaceful house back afterwards. Before you know it we are at New Years Eve. My partner and I decided not to go out this year; I resent the fact you have to pay exorbitant rates to get in places and then spend hours queuing at the bar for a drink, I know I’m getting old and boring. Plus we are back to that pressure to have a fantastic time. Instead I made a Biryani which we followed with bubbly and party poppers at midnight whilst watching the London fireworks on television. New Year has a kind of contradiction about it I always feel. In one way it is an opportunity for a fresh start and optimism but it also can be a bit depressing when you analyse the life goals you have still yet to achieve. New Year celebrations may well have their route in the Janus, the God of new beginnings, doors and gates. This God had two faces; one which looked into the past and the other in to the future. My boyfriend and I joined in Auld Lang Syne on the television at the stroke of midnight which got me thinking as to how and when this became a tradition of New Year. The words are part of a Robert Burns poem which was then put with a traditional folk song. The tradition began in Scotland but is now used worldwide especially in English speaking countries and has been for more than a century. The song is generally thought to be suggesting that we remember old friendships which is something important to me; I always send a text to all my friends whether I see them regularly or not at New Year. This custom of mine ultimately led to my partner contacting me again after some years apart back at the start of 2009! Now January is upon us. I always find it quite a depressing month and it appears I am not the only one being that Blue Monday (the most depressing day of the year) falls in January. The scientists have even come up with a formula for it. The contributing variables are apparently the weather, debt, time since Christmas, lack of motivation and the failed New Years resolutions. That takes me on to these impossible targets we set ourselves year after year. It is thought this idea may have religious origins with the ancient Babylonians being the first to make them. It centres round looking for self improvement each year. The majority of resolutions fail but success is improved by sharing them with friends. According to an article in the Daily Mail, 9th January is the day most people give up on their resolutions. In hope of improving my success; I shall now share mine. My cure for this dismal month is simple; fill the calendar with things to look forward to! I already have two weddings to go to which gives me justification for two new outfits. I can’t wait to book a holiday so am enjoying researching places to go. In the meantime a bit of retail therapy should brighten my spirits; after all my shoe queen crown is slipping; so far in 2012 all I have purchased is one pair of shoes and they are for work so don’t really count. Perhaps resolution 6 should be to buy at least one pair of beautiful shoes each month; I’m sure I can keep that one. This pair from LK Bennett may even have to be my reward to myself for my new job! Happy new year to all my readers and best of luck with your resolutions! 3 More Sleeps to go!!!!!!!!! So it’s almost the big day. The Christmas cake and pudding has been made for some weeks which threw my senses into the Christmas spirit even if no other part of my body followed. The kitchen was filled with nutmeg, cinnamon and fruit smells whilst I sipped a snowball, the first of many! Lol! It seems as though the whole country was late in feeling Christmassy this year and then December arrived and suddenly Christmas songs blared out in shops and on the radio along with Heart beginning their sleeps ‘til Santa countdown. This was a refreshing change to the usual pattern of it beginning in August. 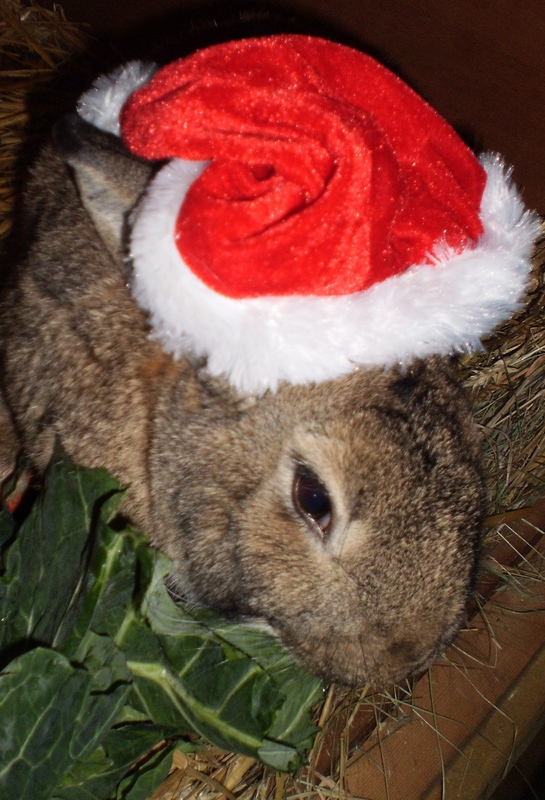 Even Rufus my rabbit is now in the Christmas spirit! My cousin and I revisited our childhood Christmas’ by losing ourselves for a few hours in Hamleys. We also enjoyed a visit to the Hyde Park winter wonderland and browsed the German Christmas market before warming ourselves up with a coffee and some roasted chestnuts; another smell which alerts us to the holiday season. I took my friends little boy to see Santa the other week and as a new twist, it also included a 3D film about the reindeer. I’m not sure who enjoyed the trip more, me or him? What did I ask Santa for; well that would be telling! Cards then began to drop through the letter box on a daily basis. Christmas is one of the few times of year when the postman delivers something other than bills and junk mail! Wouldn’t it be nice if we all still wrote letters to each other; I used to love to receive a letter to read over breakfast. The advent of modern technology has unfortunately diminished the nation’s letter writing skills. Text messages encourage brevity and the notion of even a good long phone call seems to be less and less popular. Now don’t get me wrong text messages do serve their purpose and I’m not about to join the English language experts debate on text messaging being responsible for the declining standards of spelling, however in my own experience I have found that they often can cause misunderstandings and fail to convey true emotion. With this in mind, I had four very enjoyable phone conversations with friends and family today. You would think with all these wide ranging methods of communication people would never lose touch but sadly there are people who you have no contact with from one month to the next, yet the sign of true friendship is that when you do meet up with that person it is like you have never been apart, as I found with an old school friend at my annual festive get together this week. Anyway getting back to Christmas cards, where did this tradition come from? I watched Victorian Christmas the other day and found the origins to this and many other traditions; we have a lot to thank the Victorians for. 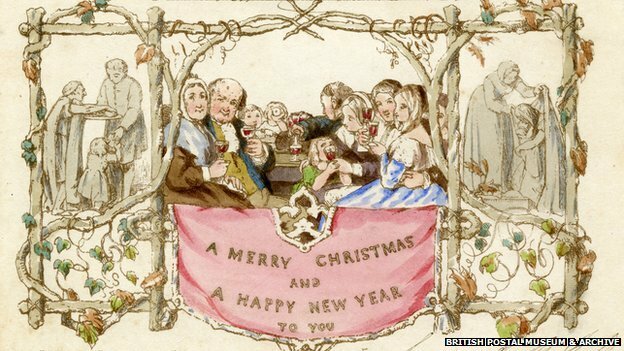 Henry Cole sent the first Christmas card in 1843 as it would have taken a long time for him to have written letters to all his friends. Those he had left over he sold. The popularity of these was helped by the post office introducing a half penny stamp for Christmas cards. This was made possible by the expanding railways which made transporting post faster and cheaper. Another tradition we owe to the Victorians is the Christmas tree. They became part of the British Christmas after Queen Victoria’s husband put one up at Windsor castle in 1841. They were of course at that time decorated with candles; an accident waiting to happen if you ask me. My partner and I put up our tree and dusted off the nativity scene the first week of December in preparation for an early Christmas dinner party I arranged. Aside from the desire to catch up with some very good friends of mine, my partner and I also attempted to play matchmakers for two of our friends. Sadly it was apparently too early for me to acquire a sprig of mistletoe! 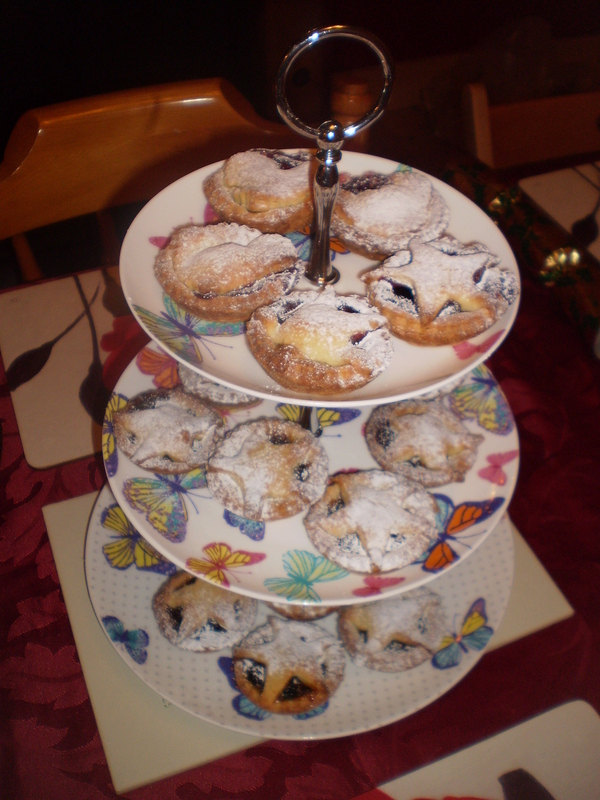 It was a most enjoyable evening and I enjoyed making the years first mince pies. Now these pies go back to the 13th century when European crusaders returned home with recipes from the Middle East. By the Victorian era, meat was no longer used in these sweet treats but suet remained an ingredient as it still does today. The Victorian era has long been a fascination for me and with so many Christmas traditions being a result of that period too; when my partner was off work we decided to go and visit the Victoria and Albert museum in London. I got a bit of a shock having to pay for a train ticket for the first time in eight years! The museum was rather a let down; we had misunderstood it to be a museum of the Victorian era when in fact it is a museum of art and design, simply named after Victoria and Albert. Then to add insult to injury, the fashion room is currently closed much to my disappointment. At the time of writing, I have now been officially unemployed for almost a month and the time has flown; I almost wonder how I ever had time to work and I still haven’t completed half the things I intended to. It is now starting to hit me however that this is not a holiday and the job search now needs to begin in earnest; the financial situation has not been helped by my continuing shopping addition! After all the perfect Christmas dress is essential for any girl; or in my case two but they were a bargain in the sale. The quest for the ideal dress is never easy but just think of poor Kate Middleton who needs no less than five dresses for her first Royal Christmas day. I did resist the urge for a gorgeous pair of heels I saw in Topshop; thinking about it though that may have been a mistake given that according to a Metro survey, 13% blokes would like their girlfriend to wear nice shoes. Talking of shopping, the present’s bill hasn’t helped either but I so enjoy giving people a thoughtful gift. This year I did the majority online which was far easier than battling the shops, except for the fact that one parcel has still yet to turn up. Some think tanks estimate as much as a 16% rise in online shopping this Christmas. Perhaps this online explosion of choice and price cutting has led to the demise of Barratts and La Senza; both now in administration which one close friend of mine has felt acutely. I have done some productive things with my time since leaving work though. I spent a week volunteering at another local primary school; this time with the children in the last year there. I greatly enjoyed it; some of the children even got me Christmas presents. Whilst doing this experience I also had some good news, I have an interview for my teacher training course so fingers crossed I’m on my way to becoming a teacher. Now with little time left to wait for the special day which cheers up the long winter, I must get on with the rest of my wrapping and make some paper chains. Merry Christmas readers! The last month has been an opportunity for me to reflect further on my childhood and adolescence along with considering our commonly held understanding of the notion of childhood. The Oxford dictionary simply defines it as ‘the state or period of being a child.’ It defines a child as ‘a young human being below the age of puberty or below the legal age of majority.’ This dictionary definition appears to concur with what was the generally held belief in history until the advent of romanticism; children were small adults. In history, children were expected to work and to dress as miniature adults (something which appears to have had some what of a renaissance in recent years but not without controversy; why a child needs to wear a thong I will never know! Mini Ugg’s however are a must!). Academic education was seen as a luxury which many could not afford up until the Victorian times when education up to the age of 10 became mandatory in 1880 and became free in 1891. The years following this led to the age for mandatory education to be raised and in Britain today it is now 16. Nowadays, no child can work (excluding in the arts and family businesses) part time until they reach the age of 13 and full time work is only allowed post 16. Elders will always suggest that children grow up much faster these days but in fact, children are now entitled to a childhood which hundreds of years ago didn’t exist. The twentieth century is commonly thought of as ‘the century of the child.’ Over the years the way children are brought up along with the toys available, have gone in and out of fashion and if anything children have greater control over their lives than they have ever had. 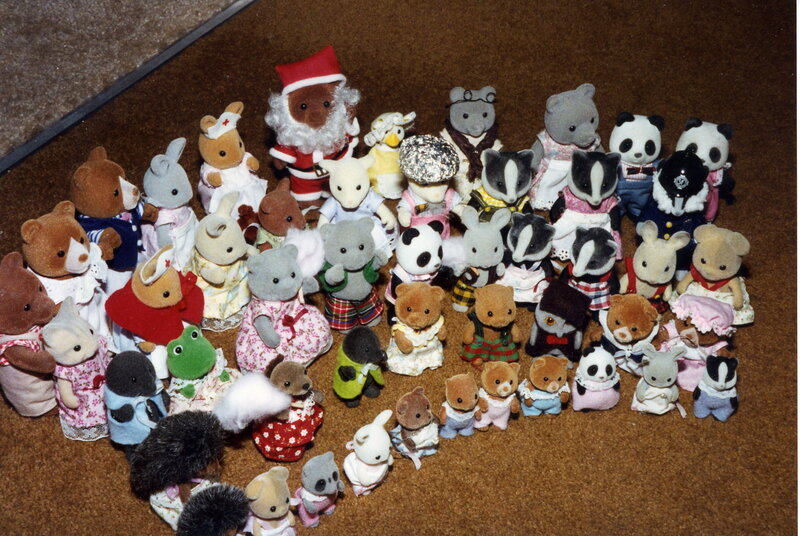 Sylvanian Families appear to have been given a new lease of life. I loved these as a child, getting my first as a present for my bravery. The girls at the school I recently did my work experience at were very in to them and even asked if they could have my collection but I can’t part with them; they currently clutter up Mum and Dad’s loft! It’s amazing what you can now get for the Sylvanian’s too, I used to have to improvise and make accessories for them. There are so many toys now, I do wonder if children have the same imaginations as we used to have? I affectionately recall hours of fun in the garden with a simple sheet to make a tent. Most people are lucky enough to be able to look back on their childhood with fond memories and I am grateful to be one of those. Since 1928 when Mickie Mouse was first unveiled, one thing that has endured is children’s love of Disney. One of my favourites has always been the Lion King so it followed that I dragged my partner to the cinema to see the new 3D version of it. I enjoyed it as much as I did as a ten year old and also watched Beauty and the Beast on DVD with the children at the school during their golden time. Sometimes I really wish I was Peter Pan or even that I could go back and do things differently. Mind you our past makes us the person we are today so perhaps I wouldn’t want to change it. As Walt Disney said ‘Adults are only kids grown up, anyway.’ I still long for a trip to Disneyworld Florida. My best friend recently went for her honeymoon there. The Disney legacy along with the general love of fairy tales means that for girls at least, we grow up believing that one day our prince will come. Thankfully mine did eventually although I had to kiss a lot of frogs first! When I entered the reception classroom on my first day volunteering at our local independent primary school (originally built in 1906 as a council school), the first thing that struck me was how small the chairs were; it was like I had walked into a dolls house! The children had swimming on my first day so you could say I was thrown in the deep end (pardon the pun). Trying to get a swimming hat on a bouncy, excitable child is like trying to stretch an elastic band around a large ball! Now I know why my Mum hated it so much when she helped out with swimming when I was at primary school. The children were adorable and it was so satisfying to see them understand different concepts. I was amazed at their French skills. I especially enjoyed reading to them. I loved books as a child and my Dad would read to me every night, doing his special voices and adding his own bits into stories. I’m sure he knew ‘The Owl who was Afraid of the Dark’ off by heart! When I was recently ill with my eye again meaning that I had to cancel my greatly anticipated Halloween party; I couldn’t watch TV, read or use the computer and I longed to cuddle up to my Dad whilst he read me a story. Children bless them are so observant and honest. One little boy asked me if my hair was turning blonde; definitely time for a trip to the hairdressers! Mind you it could have been worse; at least he didn’t ask if it was turning grey! Anyway I came back to earth with a bump after the two weeks at school and returned to the office. The experience had confirmed to me, what I was already certain of; teaching was definitely the right road for me. Consequently this blog has been somewhat delayed because my creative writing talents have been focused on my personal statement for my teacher training application. I’m sure like all teacher’s I shall amongst everything be teaching children the importance of reading the question; advice which apparently I was incapable of following myself being that the first draft of the personal statement I did was some 4000 words instead of the required 4000 characters! Despite my attention being swallowed by my application, I did however still find time for some therapeutic internet shopping and purchased this years must have; a tuxedo jacket. The tuxedo dates back some 125 years when it was first introduced as a less formal alternative to the tailcoat. The women’s masculine look is widespread this season. I shall be wearing mine with a glittery top, black shorts and of course sky scrapper heels! Talking of shoes, I was less than impressed when a navy suede pair I had hardly worn became collateral damage of a girly weekend in Cambridge. We went up there for a friend’s birthday; had a meal, drinks and then on to a new club called LoLaLo. It was lovely to catch up with my friends and the majority of the time was most enjoyable. It was lovely to see my friend enjoy her birthday so much. However call me boring but I am failing to see the attraction of being squished by people with less than perfect personal hygiene when you are trying to dance, overpriced drinks and a floor sticky with spilt alcohol; clubbing is definitely something I seem to have grown out of. Even worse than this however was a guy throwing up in the middle of the dance floor, making no attempt to try to go to the toilets; hence my ruined shoes. I guess that’s students for you. I can’t say too much though as I was some what of a hedonistic wild child during my short stay at Newcastle University when I was 18. Recollections of that time came flooding back when my boyfriend and I went up there on Guy Fawkes weekend. I chose Newcastle for university partly because the place felt like home (my Grandad was from the North East) but mainly because I wanted to get away and have the freedom to go where I liked, rolling in at anytime of the morning and trust me, rolling in is an apt way to describe it! Once given this freedom, I was not only off the rails but a total train wreck. Keeping Kookai in business single handedly, having my nose pierced and an ambulance picking me up drunk were a few of my antics along with attempting to steel a traffic cone! What I was going to do with such a thing I have no idea but it seemed that the student trophy was either this or a road sign! 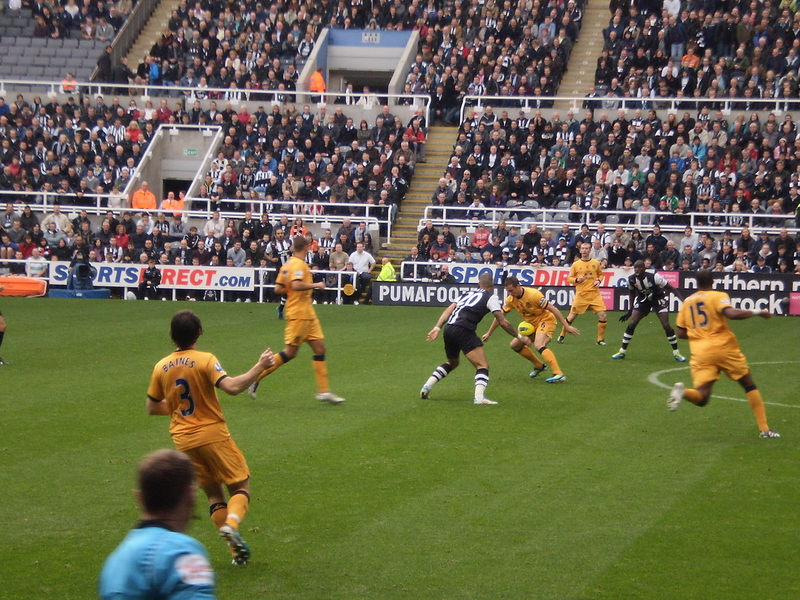 I finally got to see my beloved Newcastle United FC at St James Park for the first time on this latest trip and it was an historic game being that it was the last game played before the stadium was renamed after over 130 years, the Sports Direct Arena. We won 2-1 against Everton for those of you interested and were second in the league for a matter of hours. My initial reason for supporting Newcastle was fancying Alan Shearer but that is of no consequence now. Whilst up in Geordie land I visited one of my friends who has just had a baby boy. This made me even more broody as did the other weekend when my brother, his girlfriend and my niece came to visit us. I guess being a mother is someway off though being that I have not yet had the joy of becoming engaged. I cheered myself up however with a new addition for my wardrobe; a navy polka dot silk dress. I want to take this opportunity to wish a happy thanksgiving to all my American friends. Thanksgiving falls on the fourth Thursday of November each year. The ceremony is an occasion to give thanks for the harvest and a hope of good growing conditions in the spring, much like our harvest festival. I was involved in the harvest festival at the school I volunteered at, helping the children to make apples and seeds. For days afterwards I was still singing the ‘Johnny Appleseed’ song! The festivities for thanksgiving are much like our Christmas ones in the respect of a turkey dinner; however this is generally followed by pumpkin pie, rather than a Christmas pudding. In fact in the USA more importance is put on thanksgiving than Christmas itself. I would love to visit New York during thanksgiving or Christmas; I bet central park is stunning under a blanket of snow! 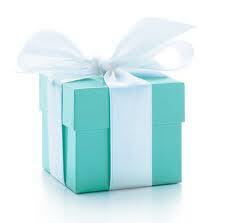 Perhaps I would even get a nice surprise from Tiffany’s and a skate in on the central park ice rink. Mind you given our experience in spring this year on the ice rink there, I think my other half and I would both end up on our knees and not because he was proposing! Talking of Christmas, it is just around the corner now; 27 days for those of you counting! The festive songs are beginning to be played on the radio. This is my favourite time of year, a magical time and definitely all about children. I am a big kid myself though; the advent calendar for 1st December is ready and waiting, mind you as Dickens said ‘if you let the child in you die, you are in effect dead.’ I will definitely be taking a trip to Hamley’s and I must start looking for the elusive party dress! This year as in previous years I took part in Operation Christmas Child. For those of you who don’t know what this is; the initiative is run by Samaritans Purse and dates back 21 years. A wrapped, gift filled shoebox is delivered somewhere in the world to a child in need. After all Christmas is all about giving and children and imagine the smile you could put on a child’s face. 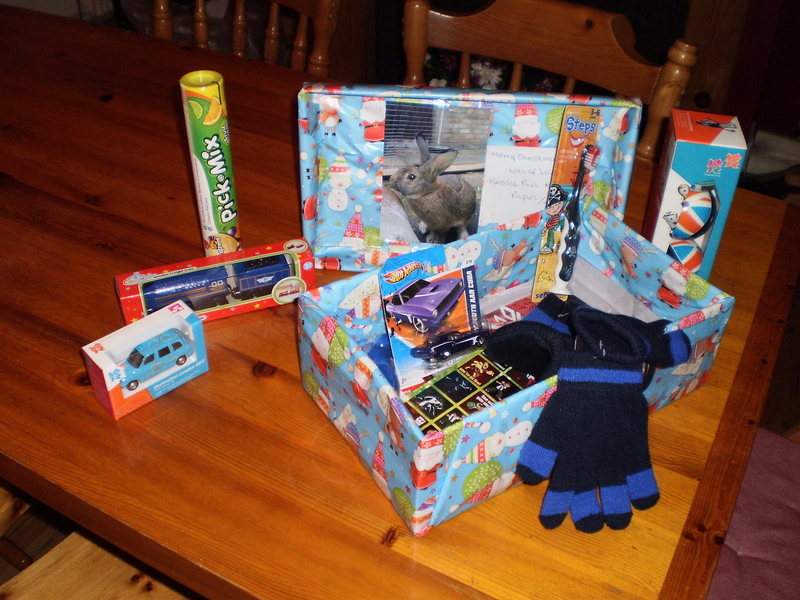 Unlike children in this country, the shoebox will probably be the only gift they get. I shall sign off now and continue searching for a replacement for my shoes, not that I need an excuse to buy another pair! Happy Christmas shopping!